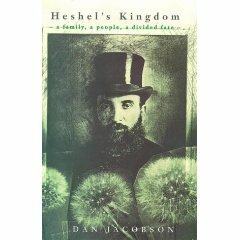 Anyone with a connection to Jewish Vorne will be interested in the book "Heshel's Kingdom" by the South African born author Dan Jacobson. In the book the author describes the life and times of his grandfather, Heshel Melamed, who was a Rabbi in Vorne until his death in 1919. The first part of the book describes Heshel's life in Vorne, based on first hand accounts that the author got from his mother and his aunts and uncles. The second part describes the emigration of his grandmother and her children from Lithuania to South Africa soon after Heshel's death. In the third part the author returns to Lithuania in the 1990s and visits Varniai. "Heshel's Kingdom" is no longer in print but copies are available on Amazon.